Chinstrap penguins on King George Island, South Shetland Islands, just north of the Antarctic Peninsula. Penguins on an iceberg in the Bransfield Strait, nowhere near land. Chinstrap penguins, high above Orne Harbor. Chinstrap penguin collecting a rock for the nest, Orne Harbor. Gentoo penguins with eggs in their rock nests at Port Lockroy, Goudier Island. Nesting penguin at British Antarctic Base, Port Lockroy. 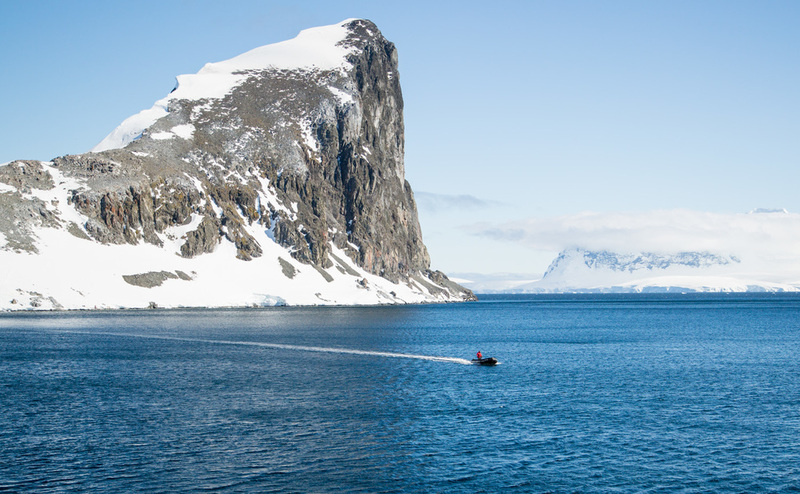 Ice floating at Port Lockroy. Blue-eyed shags nesting on Jougla Point, Wiencke Island. Gentoo penguins and whale bones at Jougla Point. Gentoo penguins at Jougla Point. Hiking above Paradise Harbor, Antarctic Peninsula. Hiking above the Argentinian Almirante Brown Base at Paradise Harbor. Penguins in Neko Harbor, Antarctic Peninsula. Iceberg in the Gerlache Strait, off the Antarctic Peninsula. Iceberg in the Gerlache Strait. Killer whales in the Gerlache Strait. 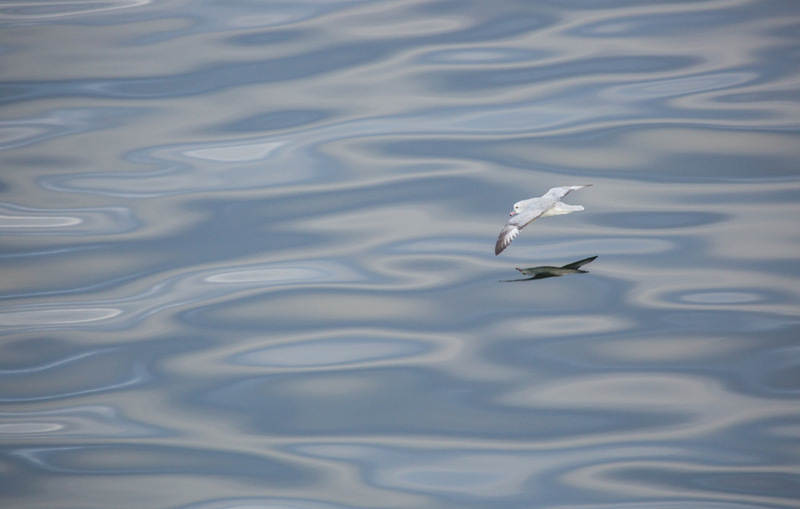 Antarctic fulmar in the Gerlache Strait. Weddell seal at Telefon Bay, Deception Island, South Shetland Islands. Chinstrap penguin at Telefon Bay. Chinstrap penguins swimming in the Bransfield Strait, near the South Shetland Islands. Chinstrap penguin colony on Half Moon Island, South Shetland Islands. Chinstrap penguin courting behavior on Half Moon Island. Baby chinstrap penguin, Half Moon Island. Chinstrap penguins on Half Moon Island. 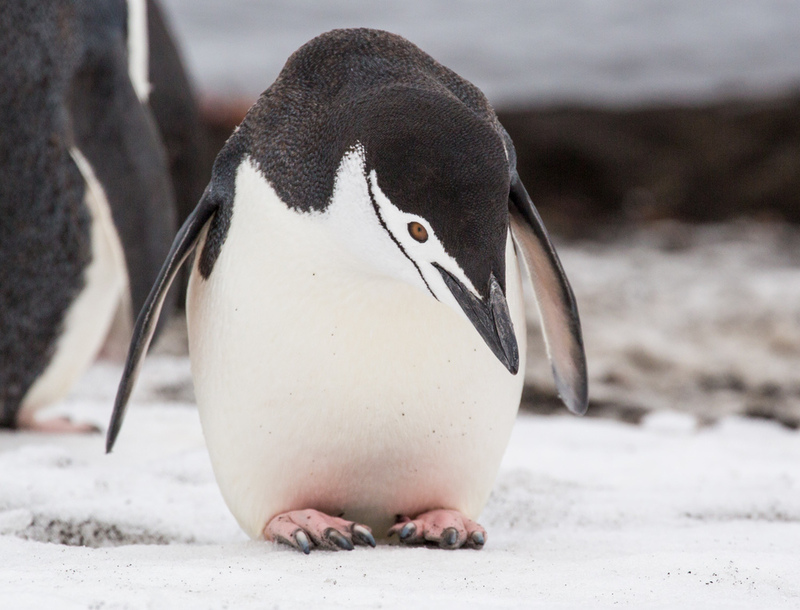 The chinstrap penguin colony on Half Moon Island has a single macaroni penguin. He comes back almost every year. Wreck of an old whaling ship on Half Moon Island. Penguin highway on Half Moon Island.